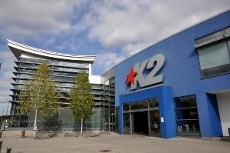 Bello Beau Beauty are based at the K2 Leisure Centre on the A23 in Tilgate. Bello Beau owner and therapist Suky has nearly 10 years extensive experience in the beauty and cosmetic industry and offers a wide range of treatments at the new beauty room on K2’s 1st floor treatment room 1, near the bodycare clinic. There are treatments available for all lifestyles. If you are dropping your children to a class, why not get pampered while you wait? Offering a wide range of indulgent and soothing treatments, Bello Beau caters for both male and females and can guarantee to relax you after an intense workout or stressful day at work. Bello Beau offer 10% off any treatment, valid until 31st December 2010. Call 07971 270123 for an appointment.